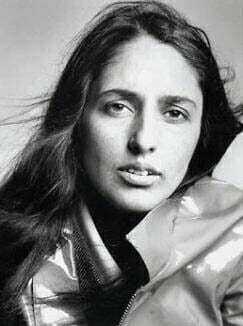 “We shall,” says Joan Baez, “overcome some day.” I choose Joan Baez, though of course this song has been sung by many, because as a white woman I can relate to her the most, and as a youth I was influenced by her the most. I have keenly felt the imbalance of injustice in my own way, and I saw how very much more it has affected others in drastic ways. When I was young I believed we would overcome, that we could change the world. Imagine that. We see behind the seated figure in the tarot card Justice two pillars and a tapestry reminiscent of the tarot card High Priestess. However the pillars and tapestry are blank and we glimpse no ocean beyond to pull at our intuition. 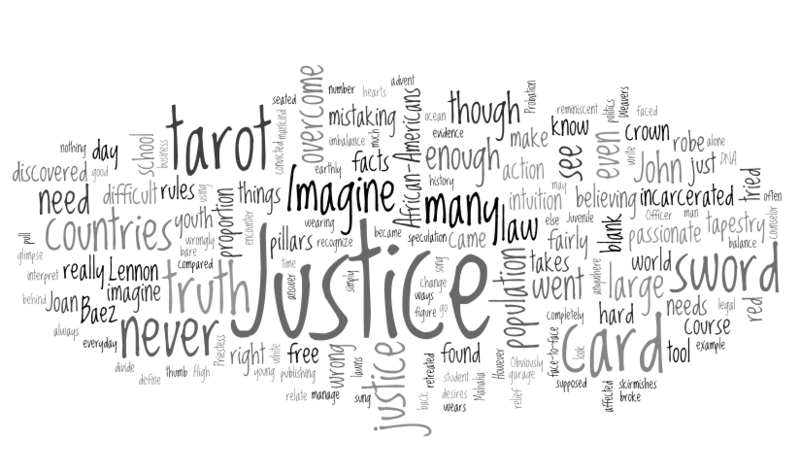 Justice is not about intuition as is the High Priestess, discussed more fully here. Justice is about blank facts. To me, the upraised sword means we are supposed to divide truth from truth using the mighty tool of our bare honed intellect, not our earthly needs, not our hearts, and not even our heartfelt spiritual desires. Justice balances the evidence fairly, with no thumb on the scale. All of this is sensibly represented in the tarot card Justice. But as I see it, things begin to go awry with the human trappings. 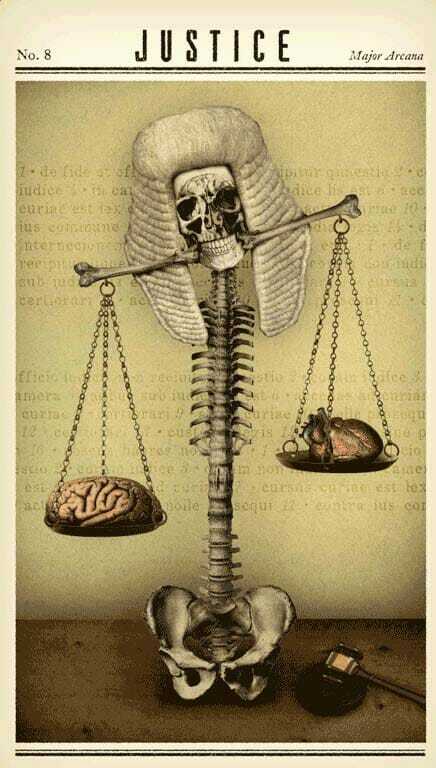 Justice wears a crown, symbol that we need society’s rules to define clearly right from wrong so there will be no mistaking, though of course when it comes down to it there is often mistaking. I went to law school, and into the courts, believing I would find justice there, but what I found was we can never write our rules completely enough, we can never interpret them fairly enough, we can never always know the facts truly enough. You can’t really count on justice anywhere. “The truth,” says Mahalia Jackson, “shall make us free someday.” We know that African-Americans make up an intolerably high proportion of the incarcerated population, compared to the percentage of African-Americans in the general population. We can look back at history and it takes little speculation to see why this is true, though somehow knowing this truth hasn’t changed it. Today, with the advent of technology, the truth is making many free, of every race. A frightening proportion of the incarcerated population, of any ethnicity, is found to be wrongly convicted and we are faced with the reality that many have died, naturally or not, because there was no justice for them before this tool of DNA. Imagine. “We shall overcome,” say The Weavers, “some day.” I am no longer the peace-marching youth of my more elevated younger years. 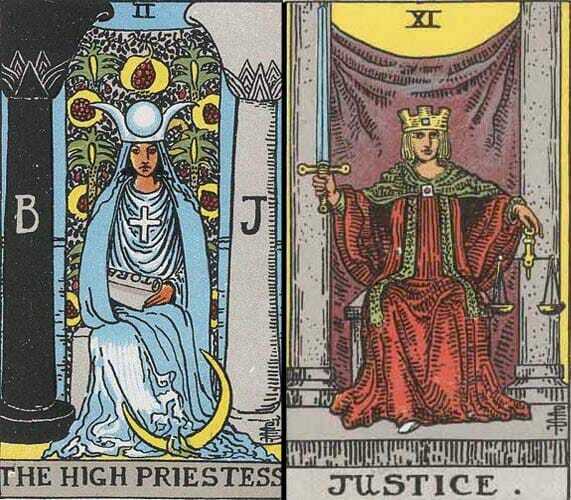 I tried a number of different avenues looking for Justice, each time with the passion apparent in the red robe of the tarot card. I tried working in group homes but it was clear we couldn’t stem the tide, so I went to Juvenile Hall. Obviously, a counselor there had no strength, so I became a Probation Officer. From that vantage point it seemed to me the action was in the courthouse, and I went to law school. As a passionate law student I did an internship in the D.A.s office and came face-to-face with Justice in action and discovered how haphazard it could be. Worse, I discovered that in too many cases there simply was no just answer. None at all. I retreated to the clean atmosphere of a legal publishing company, where nobody even wanted to stab anybody else. The politics were a relief, but even in the corporation you encounter skirmishes of justice everyday. It is the stuff of mankind. “Imagine there’s no countries,” says John Lennon, “it isn’t hard to do, nothing to kill or die for.” We can’t imagine no countries, it’s really very hard to do, euphoric as it might seem. This is because as things are we need countries to manage our justices large and small, no matter how badly it’s done. If there were no countries we would need to have no lawns, for example, because it would start with who broke the lawnmower, then a garage will have burnt down, then suddenly we are asking “who shot John?” and the whole world is in mourning. 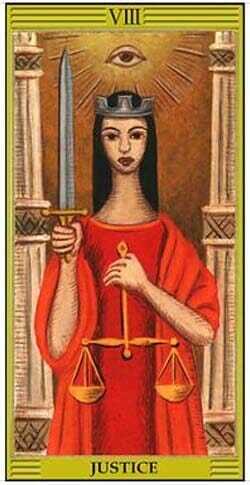 In the tarot card, Justice carries a very large very sharp sword for a very good reason. It’s a heavy business deciding right from wrong, and enforcing that decision. As difficult as the sword can be to live with, imagine no sword. Imagine no crown, no passionate red robe. The golden balance all alone would be very fragile indeed. “You may say I’m a dreamer,” says John Lennon, “but I’m not the only one.” I never stopped believing in Justice, I just came to recognize that in the hands of man it’s very difficult to achieve, and its mechanics are very wearing. That’s why in the tarot card Justice looks so stoic, and needs such a large sword. 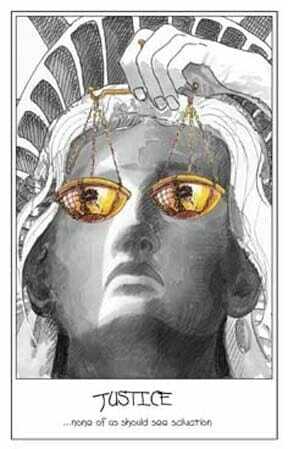 Justice takes great vigilance and never ending pursuit. Never stop imagining it. 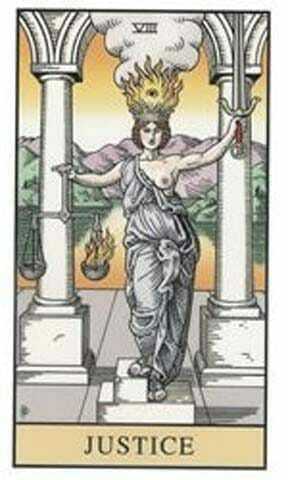 The opening Justice and High Priestess cards are from the Waite Smith deck. 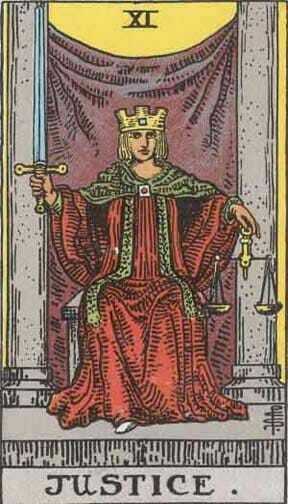 The second Justice card is from the Alchemical Tarot deck. The third Justice card is from the Zombie Tarot deck. The fourth Justice card is a painting by Getty Art. 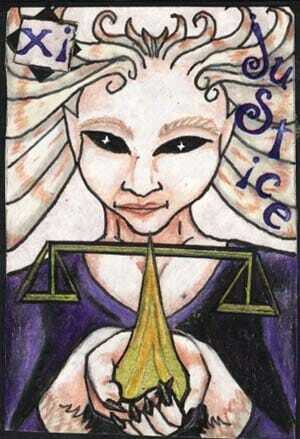 The fifth Justice card is from the Pen Tarot deck. The Emperor card is from a partial Rock N Roll Tarot deck by Tommy Ross. 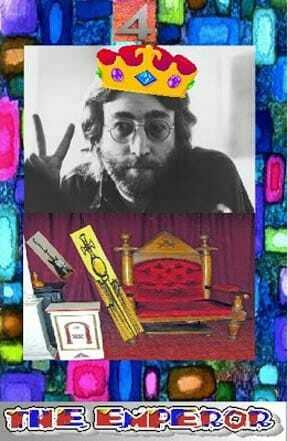 Not the John Lennon would put up with being Emperor. Not him. The last Justice card is by Lemurkat Studios.